The difference between pain and tenderness « Howard J. Bennett - Pediatrician and Author in Washington, D.C. 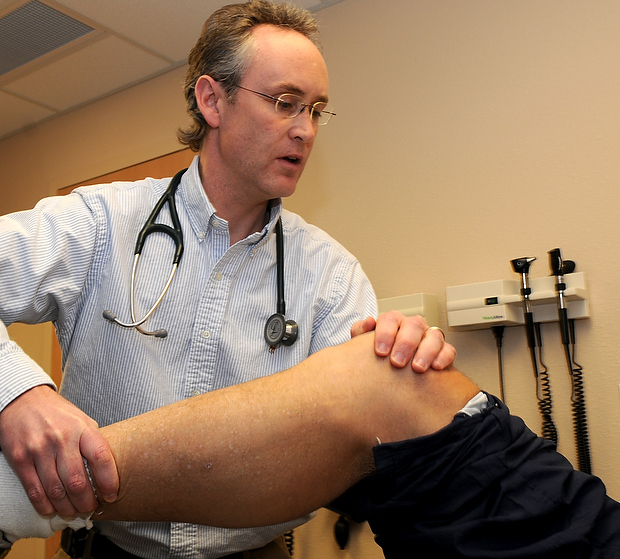 Patients are sometimes confused when doctors differentiate the terms pain and tenderness. The reason we use these words differently is because they mean different things when it comes to making a diagnosis. If something is painful, that means it hurts. If something is tender, that means it hurts when it is touched or moved. A good example of how we use these terms relates to abdominal pain. I could have a horrible stomachache, but if it doesn’t hurt more when someone pushes on my abdomen, I am not tender. Appendicitis always causes a tender abdomen. Similarly, migraine headaches cause severe pain in addition to nausea and photophobia (it hurts to look at lights), but patients with migraine usually don’t have scalp tenderness. If someone has a bad headache associated with scalp tenderness, it’s often due to muscle tension that’s brought on by psychological or physical stress such as carrying a heavy backpack or keyboarding for long periods of time. This entry was posted in Dr. B's Blog and tagged adolescence, injuries, pain. ← Why does constipation cause stomachaches after kids eat?